The Company was established on December 16, 1987 based on Deed of Establishment no. 132 dated December 16, 1987, drawn up before Lieke Lianadevi Tukgali, S.H., Notary in Jakarta, which has been approved by the Minister Justice Rights based on its Decision Letter no. C2-4573.HT.01.01-TH.88 dated 25 May 1988, and has been registered in the register book of the Central Jakarta District Court under No. 1. 1979/1988 dated September 1, 1988, and has been published in the State Gazette of the Republic of Indonesia No. 102 dated December 20, 1988, Supplement No. 1388. Pizza Hut is an international chained restaurant and franchise from the USA, which was established in 1958 by Dan Carney and Frank Carney. Pizza Hut is famous for its Italian-American menu, including pizza and pasta, and other menus. Pizza Hut has more than 16,000 outlets in more than 100 countries. As the franchisee in Indonesia, the Company owns the right to develop and operate Pizza Hut restaurants across Indonesia based on the international franchise agreement with Pizza Hut Restaurants Asia Ltd. At present, with the exception of the outlet at the airport, the Company is the master franchisee of Pizza Hut in Indonesia. 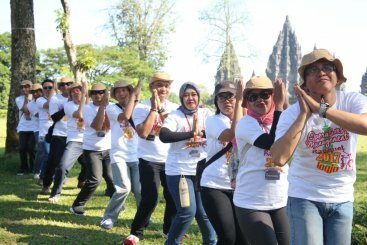 The Company has successfully received the Asia Franchisee of the Year award from YUM! Pizza Hut Asia for the year 2007, 2008, 2009, 2011, 2012, 2013 and 2017. 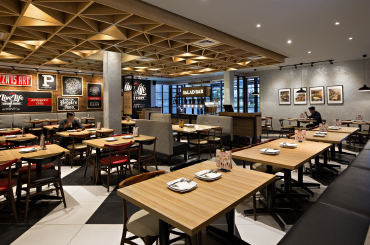 The Company was established in 1987 and is engaging businesses in a consumer foodservice industry, particularly pizza and pasta in Indonesia through the franchise owned by the Company. 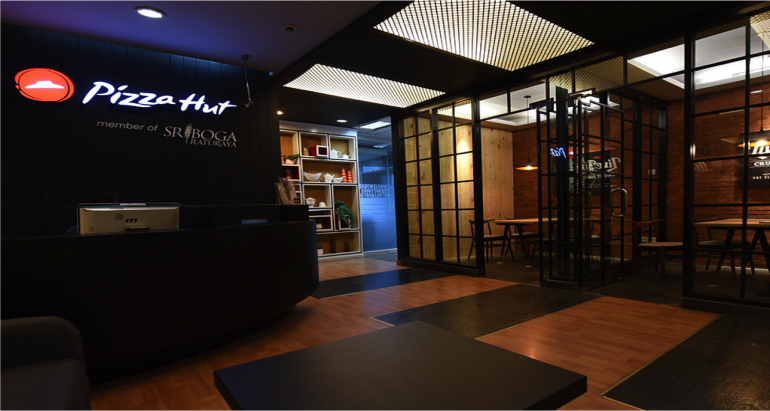 After developed the Pizza Hut brand in Indonesia for two decades, the Company was acquired by Sriboga Group in 2004, and since the acquisition, the growth of the Company’s outlets was rapidly increase. The Company has been supported by Sriboga Group with various support and guidance from SRR or other company in Sriboga group. Based on the Euromonitor's Report, in 2016 the Company was the largest pizza chain and, with a market share of 86.6%, with PHR holding a 97.0% market share and PHD holding a 64.6% market share. As of December 31, 2017, the Company operated 237 PHR outlets and 156 PHD outlets located in 28 provinces in Indonesia. In addition on February 2018, the Company owns 397 combined PHR and PHD outlets. The Company's restaurants and outlets offer a wide range of high quality pizza and complementary menus to its customers. The Company offers innovative and extensive menus that cater Indonesian consumers, targeting middle-class teenagers and families. The Company is popularly known for its original pan pizza and its iconic cheesy bites menu. The Company as developed two different concepts, namely the PHR and PHD outlets. The Company offers dine-in service, delivery service, and online sales with extensive network. The Company believes that its current sales concepts and channels will provide flexibility for sustainable growth. Therefore, the Company continues to create innovations in its menu selection by adapting the menu according to the palate of Indonesian people, and to improve its services to customers. The Company recognizes the importance of having a Halal Certificate for a foodservice company in a Muslim-majority country. In 1997, the Company obtained the halal certificate from MUI. Up to now, the Company continues to maintain its halal certification with the commitment to continuously provide halal products to provide convenience, security and satisfaction to consumers.